With an Interest-Only loan, home buyers are able to choose their monthly payment and can do one of a few things: They can qualify for a more home, keep more of their cash in reserve or to save for retirement, pay down high-interest debt, or make home improvements. Possibility for lower monthly payments: for the first 10 years of the mortgage you can choose to pay interest only – plus any portion of the principal that you would like to pay. The chance to be able to afford the home of your dreams – you can buy up to 25% more home with interest-only payments. Tuition costs, medical expenses, vacations, or home improvement. This innovative approach to home financing can help you reap the double benefits of more affordable monthly payments PLUS improved cash flow. You choose your own payment amount each month. You may make the minimum payment, which would be interest only…or you can choose to pay towards your principal balance any time you wish – it’s completely up to you! In any case, the principal balance on your mortgage will never increase. 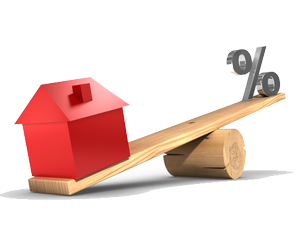 Interest Only loans are offered as fixed term adjustable rates or fixed rates. 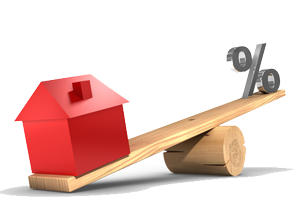 The adjustable rates are offered as a fixed rate for a specific period of time. For example you can pick the length of protection you are comfortable with, 6 months, 1,3,5,7 or 10 years. The rate would be fixed for the initial period and then adjust annually based on market rates after that. The longer the period of time you need protection for the higher the rate. The loans would offer the interest only feature for the initial fixed rate period you select. It should be noted that if you are borrowing over 95% of the value of the home, it really is not a wise choice to select this product. You are always better off being on a regular regimen of paying down principal with each payment until such time as you have built up enough equity so you have a comfortable cushion should you suddenly have to sell your home.